If what the Ministry of Energy, Green Technology and Water stated yesterday is to become reality, smallholders and farmers in this country will have better opportunity to take part in green and renewable energy projects - in a small way. In a statement, the ministry said it will provide the rural community comprising smallholders, landowners and farmers with guidance and advice on using green technology to develop high-value products from biomass, including energy. 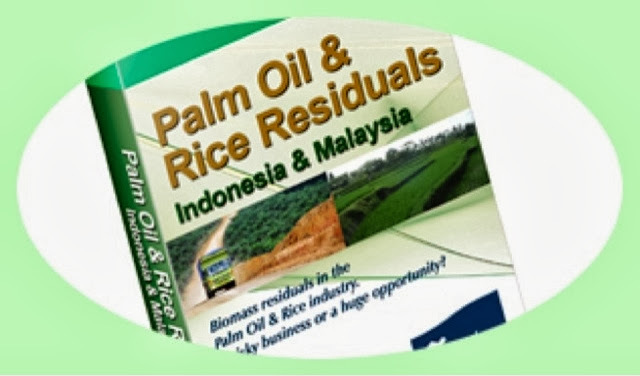 Rice farmers and palm oil smallholders can become suppliers to the biomass industry. The Ministry of Energy, Green Technology and Water will help the rural community to promote sustainable developments and facilitate the green economy by showing how it can contribute to economic growth. With huge amount of talent and resources, coupled with their hardworking traits, the rural communities just need transformation in their mindset i.e., to be more entrepreneurial bent, and organise themselves accordingly to capitalise on new opportunities. This year, Prime Minister Najib announced an allocation increase of RM2 billion, for the Green Technology Financing Scheme (GTFS), which makes the total allocation now to RM3.5 billion. This is meant as an incentive to small and medium industries and enterprises (SMI & SMEs) to increase the creation of green tech-based products and services. He also said the government launched the 1Malaysia Biomass Alternative Strategy Initiative (1MBAS) last year to benefit Malaysians, especially smallholders and farmers..
"We have target the production of 800 MW of renewable energy by 2020. This requires 6-9 million tonnes of biomass (and) this amount would translate into about RM9 billion in Gross national Income (GNI). The ministry reckon that the implementation of the National Biomass Strategy is expected to create up to 66,000 new jobs by 2020, a variety of skills, from manual labor to areas of research and development and engineering. Of this, the biomass pellet industry alone is expected to contribute 12,300 direct and indirect jobs. TheGreenMechanics: This would directly benefit the large number of palm oil smallholders in Sabah. Great opportunity!